Agriturismo La Tesa is placed in Tuscany, in province of Arezzo, a few kilometers from the border with Umbria and near the historic town of Cortona. Motorway A1 Firenze – Roma, exit Val di Chiana, turn right towards Perugia and after 500 mt. turn right graft expressway towards Perugia – Cortona. Continue for 18 km and exit at Castiglione del Lago and after 50 meters turn right towards Cortona. Continue for 3.6 km, turn right towards Perugia, continue for 300 meters and turn left towards Farinaio. Travel time from Florence: 1 hour and 26 min. *Solo negli orari di ufficio dal lunedì al venerdì. Apartments and holiday homes in Tuscany. Agritourism in Cortona. Flats in Cortona. Agritourism in Cortona in Tuscany. Apartments and home holidays in Arezzo. Agritourism in Arezzo. Apartments in Cortona, in Tuscany. 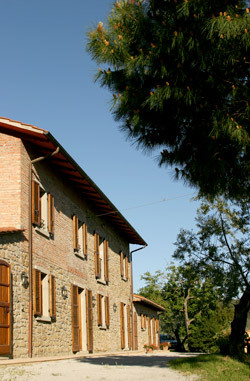 Farmhouse la tesa in Cortona. Agrituourism near to Florence and Siena, in the heart of Tuscany. Agritourism in Tuscany, with pool and garden. Farmhouse in Tuscany, holidays in agritourism in Cortona. Stay in Tuscany, holidays in agritourism in Cortona. Stay in the country of Tuscany. Holidays in agritourism in Tuscany.